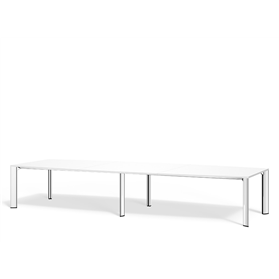 The Boss Apollo Melamine range of tables with cable management has a unique feature which is its extruded leg detail, finished in polished aluminium as standard. 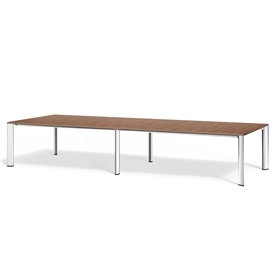 Boss Design is one of the leading manufacturers of office tables, and their meeting tables with cable managed leg detail are ideal to accommodate computers and other equipment you might need. The strong under frame has cable management built in.